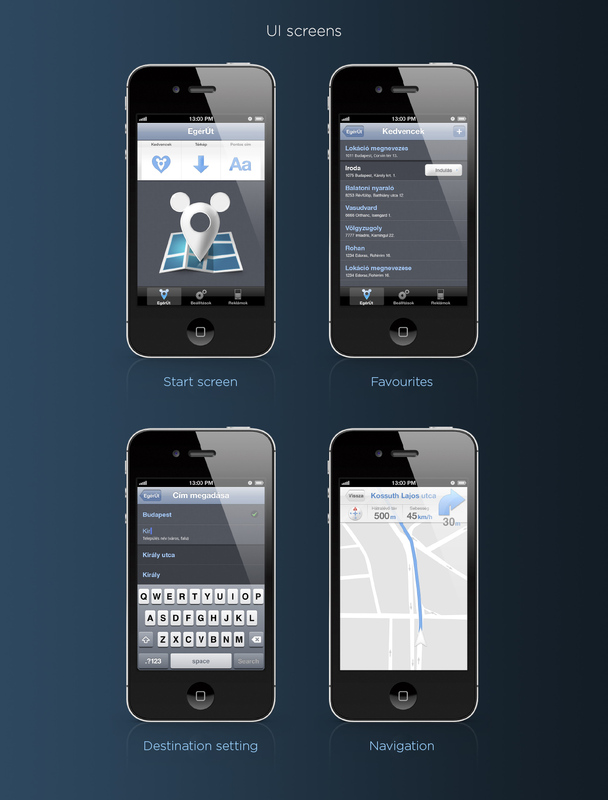 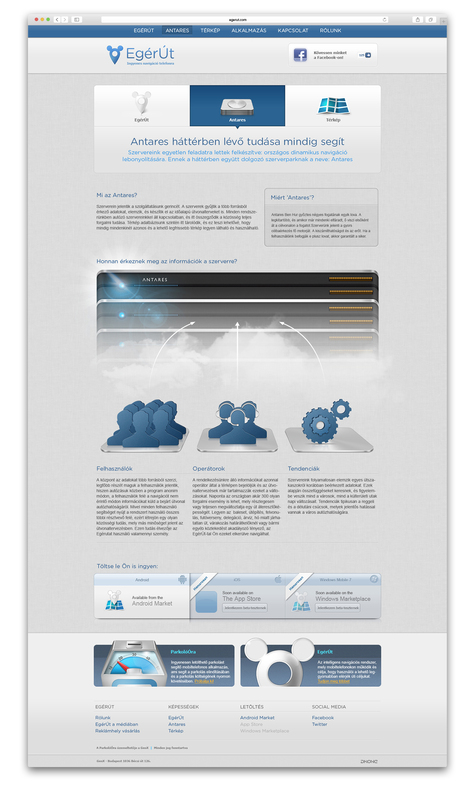 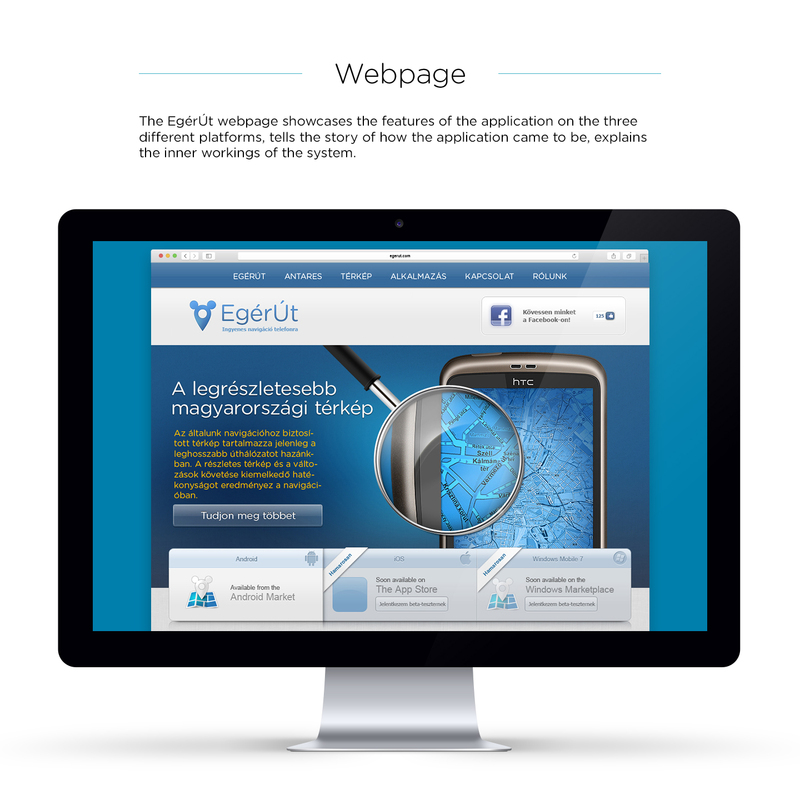 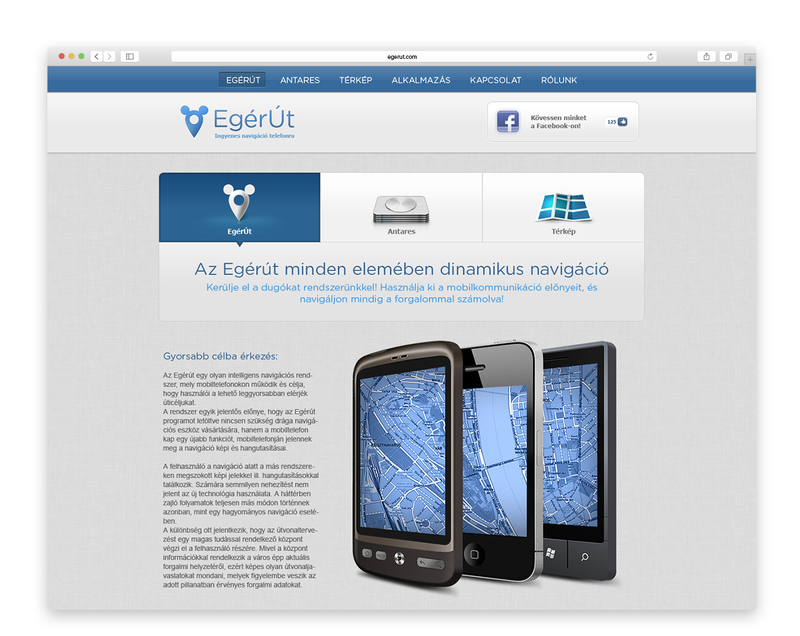 Identity, application interface and website design for a cross-platform navigation platform. 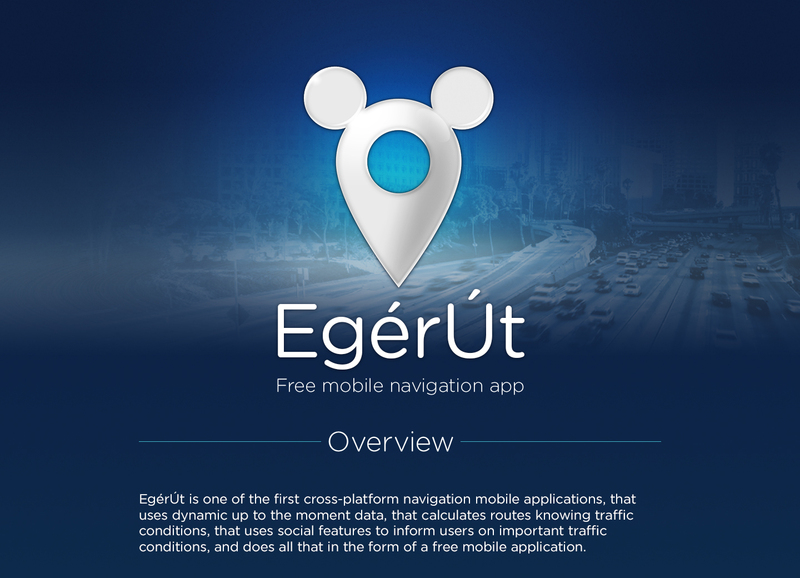 EgérÚt is one of the first cross-platform navigation mobile applications, that uses dynamic up to the moment data and calculates routes knowing traffic conditions. 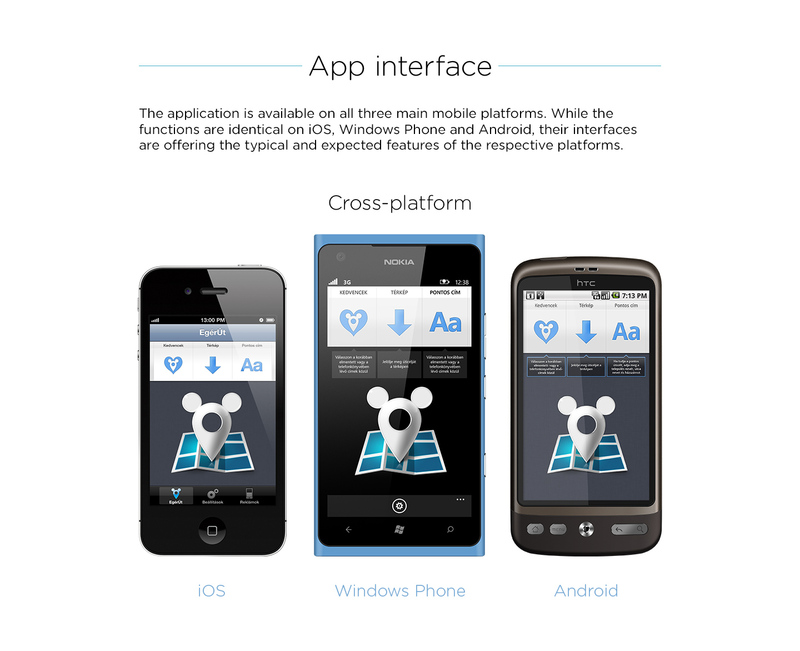 We have created a simple and easily recognisable identity, and user frendly iOS, Android and Windows Phone application interfaces that are offering the typical and expected features of the respective platforms.